Catan - An Android Version Worthy of the Original? Monopoly, Life, Risk…who hasn’t heard of them? Just the thought of these classic board games conjure up warm memories of our youth and those long nights spent with friends huddled around cups of hot cocoa. Of course, some of us never grow up and board games remain a big part of our life even as adults. Recently, I just stumbled upon Catan – the Android version of The Settlers of Catan. I’m sure all of you have played it because it’s only the most popular board game ever made. Anyone who doesn’t have a strong Catan streak running through their blood isn’t part of my generation. Thankfully, I took the honor of testing whether Catan for Android is a total flop or an absolute success. Get the results in today’s test report! My first impression of Catan was really good - and I’m not saying this because I’m promoting a product or looking for personal gain. It’s just that Catan is one of those games that just looks solid and convincing from the get-go. I’m just one of those people that really values the way something looks. So, yes, I do judge a book by its cover when it comes to apps. Sure there are free apps out there with tons of free features, but I am willing to pay a couple extra bucks for a game/app that actually looks good. So what’s the game Settlers of Catan all about in the first place? In a nutshell, this board game revolves around different groups of settlers that are fighting over supremacy on an island. This island is divided into hexagonal strip of land, each filled with different natural resources. You can place settlements, cities and streets on these hexagons and extract the resources from the land by rolling a certain dice combination. Only by actively trading and building can you collect enough points to win the game. Obviously, that’s an extremely abridged summary of the game, but Catan does a really good job of porting the game to Android. Newbies can learn how to play the game through tutorials – a great feature for beginners trying to familiarize themselves with the rules of the game. That just goes to show how thoughtful the developer was when making the game. In addition to the usual classic game mode, players can also complete other tasks and earn bonus points for reaching certain milestones. An example of that is building more port cities in order to get two extra bonus points at the end of the game. Besides the helpful tutorials, fun gameplay and good first impressions, I can’t continue without mentioned some of the game’s drawbacks. First off, the game is a bit unfair and unbalanced, which causes quite a bit of frustration for the player. Why in the world does the computer always place the robber (a figure game piece that blocks a playing field) on the playing fields of other players while another AI player is obviously winning by a mile? Why are the computer players constantly trading stuff between each other for absolutely no reason? Of course, there are ways to prevent them from doing so, but that really kills the game. That kind of stuff is unacceptable. Adding different difficulty levels could be a possible solution. Two other major drawbacks are the limitation on additional functions and the installation size. Just as Android is trying to deal with the problem of devices having too little internal memory, Catan comes around with a 35MB installation file! Is this a joke or have these people gone out of there mind? Basically, this means that a lot of devices will never be able to download the game. Also, forcing in-app purchases down users’ throats isn’t a good idea. Having to pay €2.99 is bad enough, so asking for additional money is just flat out wrong and over the top. Catan definitely deserves a four star rating when considering both the pros and cons of the game. For those of you that play Catan exclusively in multiplayer among your friends, the game is a total blast without any downsides. As I already mentioned, Catan really scores well in this category. A great first impression, fluid menu controls, a good presentation with beautiful graphics – it all sounds like a perfect game. Unfortunately, the controls aren’t nearly as good on the HTC Desire. The screen turns black during the game if I don’t press for too long (that’s definitely a bug). After I turn the screen back on, some of the buttons stop working and pinch-to-zoom works pretty poorly. This could obviously have something to do with my device, so I am open to feedback and discussion. For the time being, I’m giving Catan four stars because a game needs to more than just pretty eye-candy. Catan runs smoothly and without any crashes aside from the little bugs mentioned in the previous category. 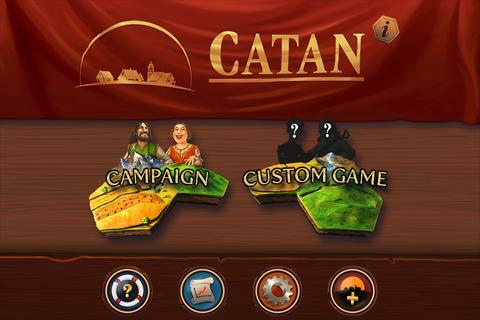 Catan offers a lot of fun for €2.99 ($4.39) and is available from the AndroidPIT App Center. OMG, I freakin love this game! Best board game of all time. 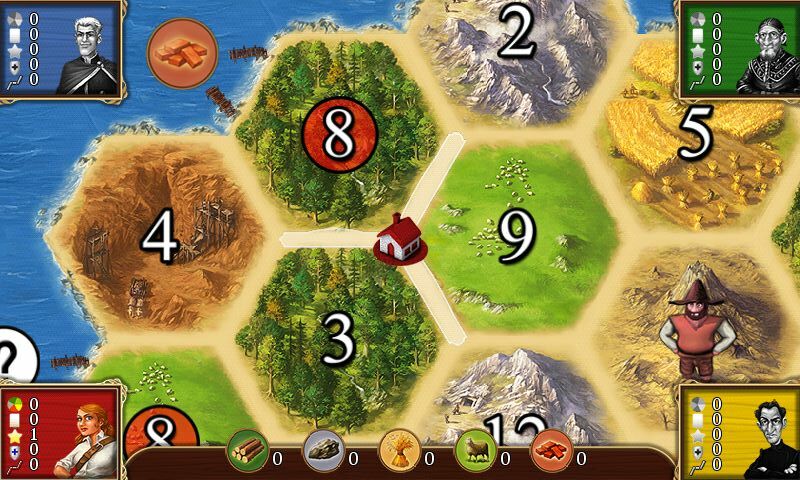 Hope it scales to a tablet because it would sweet to play Catan on a big Android screen. I was NEVER a big fan of Settlers of Catan. I just don't have the patience for the real game and it evokes memories of high school kids sitting around a table playing this stuff for hours on end. In fact, many of my coworkers continue to get together on the weekends to play it. I just can't understand the appeal of it. Reminds me too much of Dungeons and Dragons and other geeky games. So i'm not even going to give this Android app a try no matter how good it is. Tried on Archos 101. The buttons are unresponsive / laggy and offset to the right on my device.